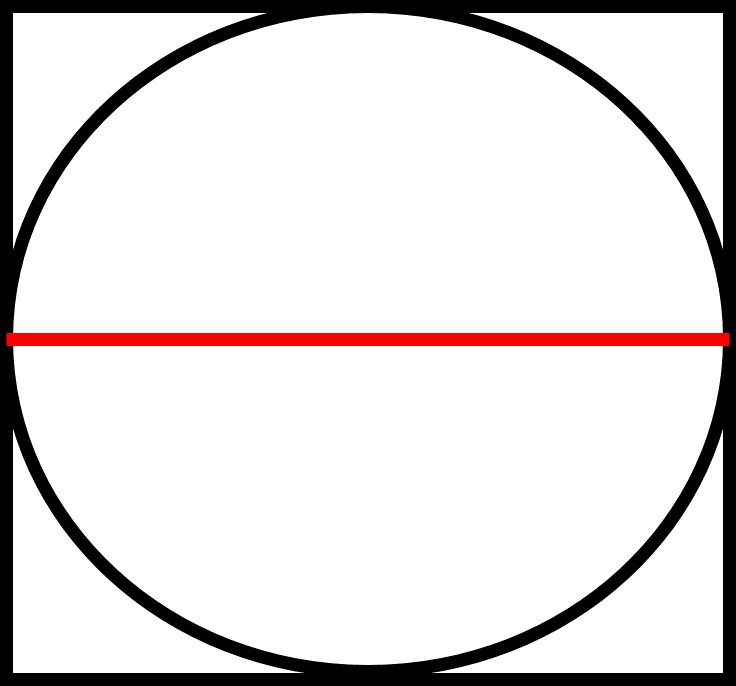 A circle is inscribed in a square that has an area of . What is the area of the circle? The following figure illustrates the situation put forth by the question. Notice that the diameter of the circle has the same length as a side of the square. First, find the side length of the square. Plug in the value given for the area to find the side length. Now, recall how to find the area of a circle. We also know the relationship between the radius and the diameter. Use the value you found earlier for the diameter to get the length of the radius. Plug this value for the radius back into the equation for the area of a circle.